For active travelers we have a Horseback Safari through the wide savannah with camping overnights in the program. It is more luxurious on our golf trip, which leads to one of the 10 best golf courses in Africa. 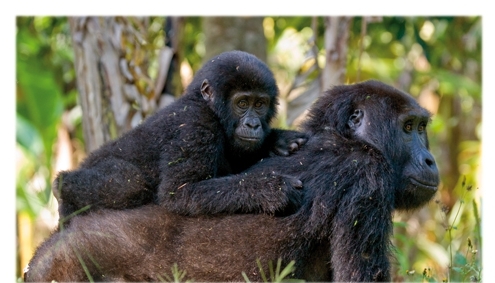 In addition, there are hiking tours in Uganda and Tanzania away from the very touristic places. Do you know Udzungwa Mountain, Ngorogoro Highlands or Mount Elgon. Beautiful and almost unknow areas with unforgettable experience. The legendary Serengeti Plains in Northern Serengeti cover 14,763 square kilometers. The National Park is one of largest wildlife sanctuaries with about two million wildebeest and zebras crossing the river and endless plains follow by predators like lions and leopards. The wildebeest migration it is the most impressive nature experience you will witness once you travel to Tanzania. 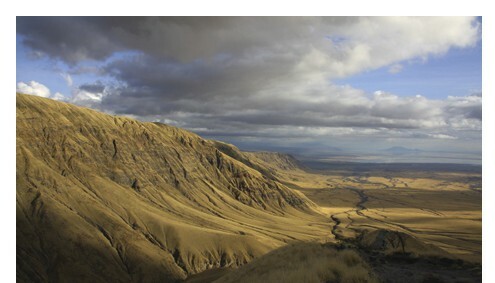 The enormous, single elevation of Kilimanjaros dominates the topography of the north-east of Tanzania in the immediate vicinity of the equator. The Kilimanjaro is not only the highest mountain in Africa but also one of the highest freed mountains in the world. The huge massif consists of a floor space of approximately 80 kilometers by 50 kilometers. 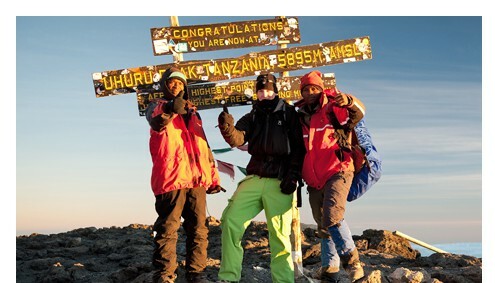 The highest elevation and destination of most climbers, is the Uhuru Peak with 5895 meters. 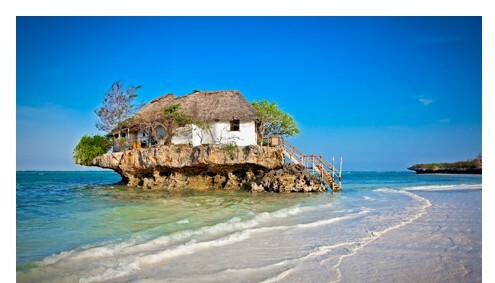 The tropical island with the famous name Zanzibar is a place of sensation. You will find exotic spices, white sandy beaches shaded by coconut palms and coral gardens. The coral reefs are unique with a rich world of tropical beautiful colored fish. Come and join the Underwater world of Zanzibar during a snorkel or diving tour. Adventure trekking on Mt. Kilimanjaro, the wide savannah of Serengeti National Park and nature reserves like Bwindi Impenetrabel Forest with the Gorilla Tracking as well as 1,400 km of coastline on the Indian Ocean. With our newsletter, learn more about Afromaxx and don’t miss any offer! 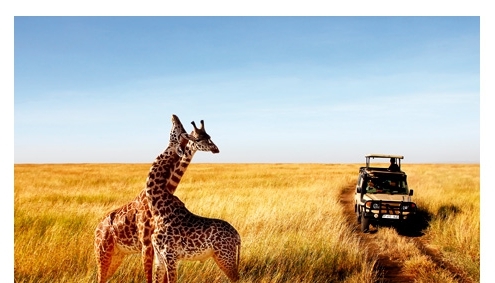 As a tour operator in East Africa, we advise you on which travel combination is best for your needs. We take into account your length of stay, the nature of the trip and of course the financial scope. Many of our guests have come as strangers and gone as friends and book again and again. Internet is great and quick for an comparison but once it gets into serious planning for your dream holiday in Africa you will be happy to hold the Afromaxx Catalog in your hands. It will provide you with advises and a great overview on what you can see besides the hot spots. Use the catalog for your planning. Afromaxx is a well know Tour company in East Africa. Specializes on tailormade itineraries with great Lodges, fleet and professional guides. No dream is impossible if you travel with Afromaxx. You will enjoy beautiful secrets of Africa and unique itineraries we have put together for you. Thanks for this wonderful tour. My trip was a so-called Zubuchertour, I had, thanks to Afromaxx the possibility to book as an individual (thus ALONE) and can rely on the fact that the trip really comes about. Everything was well prepared and Jackson was an excellent guide – thanks again for everything! Above all, the answer to individual wishes was great. By bus from Nairobi and return from Kilimanjaro Airport (to Austria). I can recommend Afromaxx to anyone. Thanks again to the whole team. The second time with Afromax at Mt. Kilimanjaro! I was the second time with Afromaxx at the Kili and it was again perfectly organized. Super nice was the Lemosho route and was topped by the Uhuro peak. Top team, have fun, gladly again. Previously planned, much read, much discussed, in reality totally different …. but very beautifully different! The support from Afromaxx was perfect from beginning to end, the guides very competent, the cook very gifted, from simple ingredients a good especially hot meal to conjure. We reached the summit thanks to the whole team. An unforgettable experience. Anytime again a trip with Afromaxx. Afromaxx – the expert in East Africa – we built your safari! Our professional team in East Africa organizes tailor made Safaris, Gorilla Tracking, Kilimanjaro Climbs to the and relaxing beach holiday on Zanzibar Island. Of course you can also combine the different travel types: Start your African vacation with a trek to Mount Kilimanjaro, take then a classic African safari with fascinating wildlife viewing of the “Big Five” (Lion, Rhino, Elephant, Buffalo and Leopard) and let your holiday experiences finish with a beach holiday at one of the best hotels on Zanzibar Island. On request, the Afromaxx team organizes private Safaris in Africa with your own driver. If you want to explore the natural scenery and wildlife in an unspoilt environment and a great team with experience since 2004, you are in the best hands with AFROMAXX. Our friendly and experienced guides turn your Africa Dreams Holidays into reality! We would like to introduce to you www.afromaxx.com a boutiques safari company based in East Africa with full operational offices in Moshi Kilimanjaro Tanzania and Entebbe Uganda. Afromaxx have been in Tourism Industry for many years and have been providing ground handling services in Tanzania, Zanzibar, Kenya and Uganda since 2004, and our persistence made us become among very unique safari outfitters around the region. You are most welcome to give us a try. We believe that Afromaxx can be your partner for any Safari in East Africa, because our services is of personal touch so we never disappoint. We have our own shuttle buses providing transfers to and from the Airport and Town Hotels as well as brand new, well maintained 4×4 Safari vehicles which are designed for safaris, with popup open roof which gives a closer and friendly view of the wildlife and nature while on game drive. Team Afromaxx is attention to details and can quickly give you response to all your requests. Regardless of how much knowledge you have about the East Africa tourist destination and other available attractions, we will always give you precise information to help you save time and guide you on your travel plans. All Afromaxx members of staff have great knowledge of the Eastern Africa Tourist destinations and attractions; be it is the Wildlife safaris; Mountain Trekking, Gorillas Tracking, Beach Holidays, Nature and Cultural Tour, Bird-Watching Safaris and any services of personal interest including Individuals, Small groups, Families, Honeymooners, Business and many other interests… we will assist you to make your journey to East Africa one of a life time experience. With our commitment to eco-tourism we have established excellent cooperation with local communities where we normally send out clients; which help us create very unique extensions short tours for Cultural and walking safaris, Village Tour and Local Community and Schools Visit, this is not only what makes us unique but also our friendly personalized services to our clients. We organize volunteering services, Biking Tour, Hiking Trips and Guided City and Shopping tours. Afromaxx is tour operators and not the owners of Hotels or Lodges but our trusted relationships with accommodation proprietors and our significant influence allow us to offer you the best package and unmatched value possible without affecting the quality of any selected safari itinerary. We are so confident of our rates that we offer our best tour price guarantee and the selection of the Lodges, Tented Camps and Hotels are of the best choice suiting anyone’s accommodation preferences, however if you find any other better price for your itinerary, let us know, we will match it so that we make your dream trip to East Africa come true. 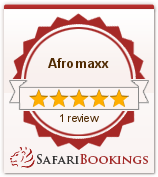 Kindly visit www.afromaxx.com for samples itineraries.